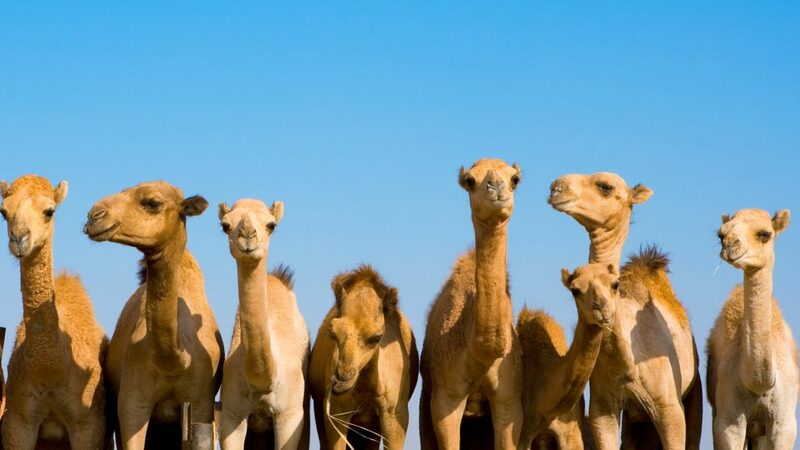 Camels are even-toed ungulates, meaning ‘hoofed animals’. There are several groups of ungulate mammals whose weight is distributed about equally by the third and fourth toes as they move around. They are native to the dry desert areas of western Asia and central and east Asia. The name camel comes from the Greek kámēlos from the Hebrew ‘gamal’ or Arabic ‘Jamal’. Find out more!